As we celebrate our 28th year in business, we are also the winners of the Peterborough Examiner's Readers Choice award for "Favourite Kennel"! Welcome to I Watch Inc.; a service for you, your pet, and your home and winners of the Peterborough Examiner's Reader's Choice Award for Favourite Boarding Kennel for 2011, 2015, 2016 and 2017. We have been in business since 1990 serving Peterborough and the Kawarthas. We are proud to offer a client tailored service. Whether your needs are for your home or for your pet, we can accommodate you year round! • A luxury boarding facility for cats and dogs. We have recently expanded our services by building a two thousand plus square foot facility to become an all encompassing service. The facility is nestled on thirty seven acres of farmland country property. The animals stroll daily on rolling hills and have a spectacular vista year round. The setting is quiet and peaceful and enjoyed by all that visit. There are trails and open land for exploring!! I Watch Animal Resort is your pet's home away from home. 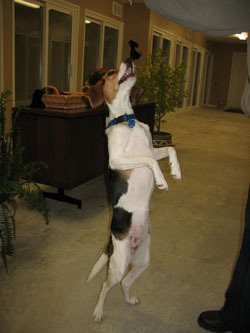 At our boarding facility we care for your animals like they are at home! We provide climate controlled rooms for each animal, an alternative to conventional caged kennels. They also have beds and televisions available if so desired in our master suites. The owners of I Watch Inc. live on site, and are a stone's throw away from the facility. I Watch Inc. carries liability insurance and is bondable. We also can provide references at your request.